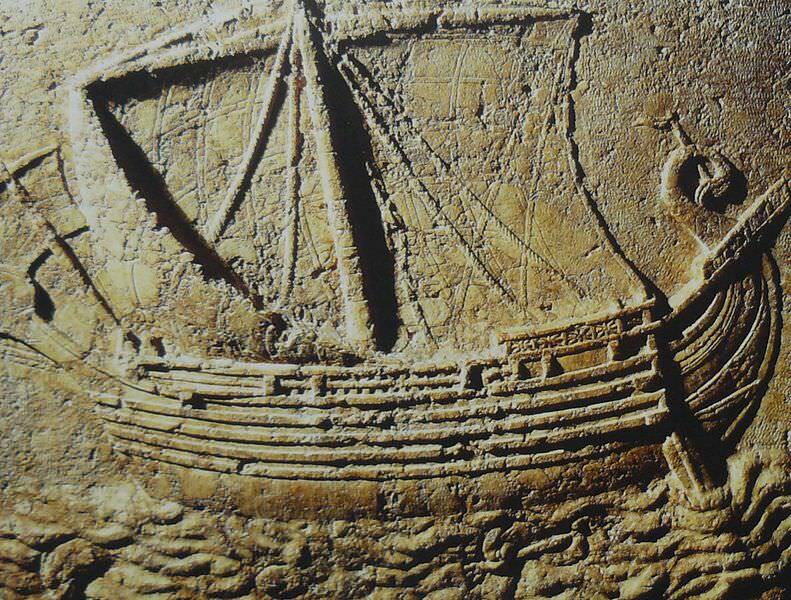 The Phoenicians established themselves as one of the greatest trading powers in the ancient world. 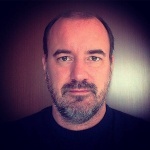 Completely free trade where prices fluctuate due to supply and demand is a mechanism thought by some historians not to have been in operation prior to the 4th century BCE but the view is much debated amongst scholars. 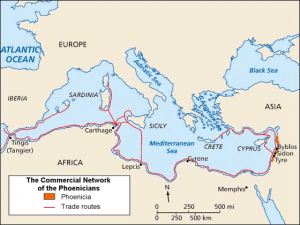 Phoenician trade was likely, then, carried out by state officials working on commission but also by consortiums of traders closely associated with royal households. These latter would have been high-ranking nobles, as described in Isaiah 23:8, “Tyre, the crowning city, whose merchants are princes, whose traffickers are the honourable of the earth.” Perhaps from around the 8th century BCE the quantity of trade carried out by private merchants increased and the direct intervention of the state was reduced, again, the point is still subject to academic debate. The trading of goods most often took place in state-sanctioned trade centres which were generally recognised as neutral by the different regional states. The Phoenician city of Tyre is a classic example. Phoenicia was a mere coastal strip backed by mountains. Despite the paucity of land available they did manage to produce cereals through irrigation of the arable terrain and cultivate on a limited scale such foodstuffs as olives, figs, dates, walnuts, almonds, pomegranates, plums, apricots, melons, pumpkins, cucumbers, and wine. 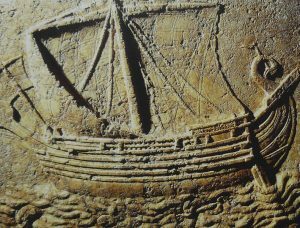 However, the Phoenicians were most noted as exporters of wood. This commodity came from their abundant cedar and fir forests and had been traded since the beginning of recorded history. The cedar is a tall tree with a thick girth, making it ideal for timber. It also has the additional benefit of possessing an aromatic odour. Mesopotamia and Egypt were the most notable customers, the former receiving their trunks via caravan up to the Euphrates River while ships carried the wood to the African coast. The trade is recorded in reliefs of Sargon II and an inscription of Nebuchadnezzar. According to the historian George Rawlinson, Phoenician cedar wood was used by King Solomon for his celebrated temple, by Herod in Zerubbabel’s Temple, and by the Ephesians for the roof of the Temple of Artemis at Ephesus, one of the Seven Wonders of the Ancient World. The other famous Phoenician export was textiles which used wool, linen yarn, cotton, and later, silk. Wool (sheep and goat) probably dominated and came from Damascus and Arabia. Linen yarn was imported from Egypt while silk came from Persia. Taking these raw materials, the Phoenicians transformed them into uniquely colourful items, especially clothes and carpets. Fine multi-coloured clothing from Phoenicia is referenced both in Homer – where Paris gives Helen a gift of the cloth prior to whisking her off to Troy – and in Egyptian art when depicting Phoenicians from Sidon. The dyed fabrics were then exported back again, for example, to Memphis where the Phoenicians even had their own quarter in the city. Cloth dyed purple (actually shades ranging from pink to violet) using fluid from the Murex trunculus, Purpura lapillus, Helix ianthina, and especially the Murex brandaris shellfish brought the Phoenicians fame throughout the ancient world. Living in relatively deep water, these shell-fish were caught in baited traps suspended from floats. The dye was then extracted from thousands of putrefied shellfish left to bake in the sun. So popular were these textiles that vast deposits of the shells have been excavated on the outskirts of Sidon and Tyre and the species was all but driven to extinction along the coasts of Phoenicia. The highest quality cloth was known as Dibapha, meaning ‘twice dipped’ in the purple dye. 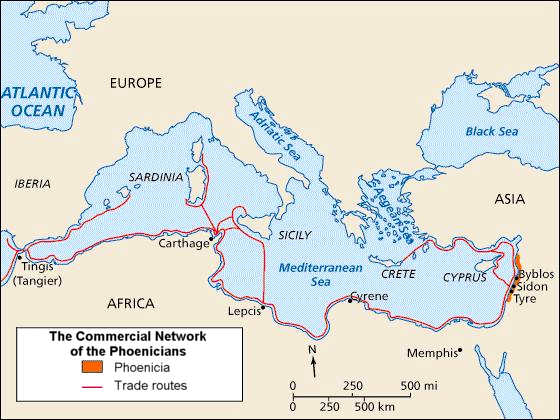 The Phoenicians not only exported the dyed cloth but also the process of extracting the dye, as indicated by the shell deposits found at Phoenician colonies across the Mediterranean. 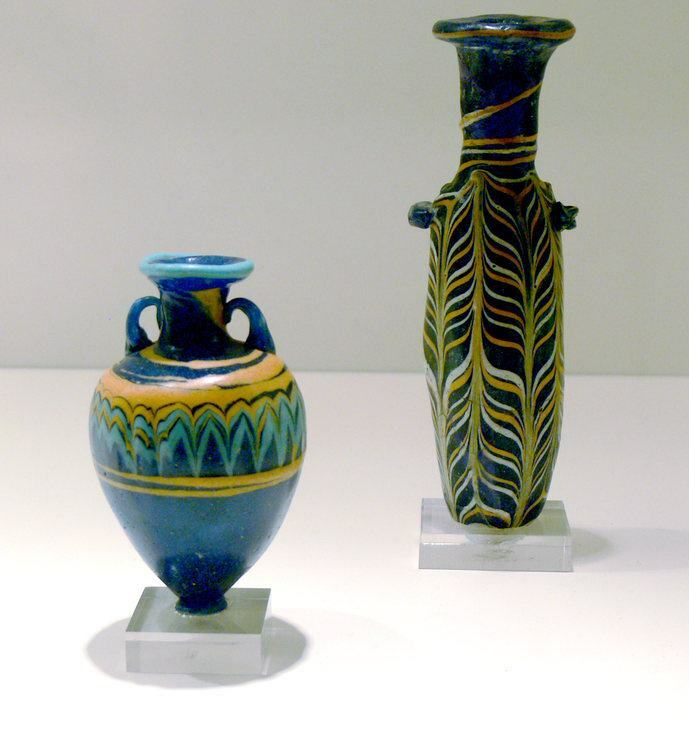 Besides their vivid colours, Phoenician textiles were also famous for their fine embroidery. Popular designs included repeated motifs such as scarabs, rosettes, winged globes, lotus blossoms, and mythical monsters. This entry was posted in Ancient, Economics, Economy, History, Phoenicia, Phoenician, Trade. Bookmark the permalink.